The best part about my Little Sprouts clients is how well I get to know them and their family as I photograph them multiple times over their baby’s first two years. I knew I was going to have fun with this couple from the first time I talked with Erica and I could actually hear her pregnancy glow through the phone. And when I arrived at their home for our initial consultation, she answered the door wearing a Virginia Tech sweatshirt? Well. Let’s just say I come from a home of Hokie fans, so it seemed like kismet that I was going to get to work with them! These two are playful, and funny, and obviously have a lot of laughs together. 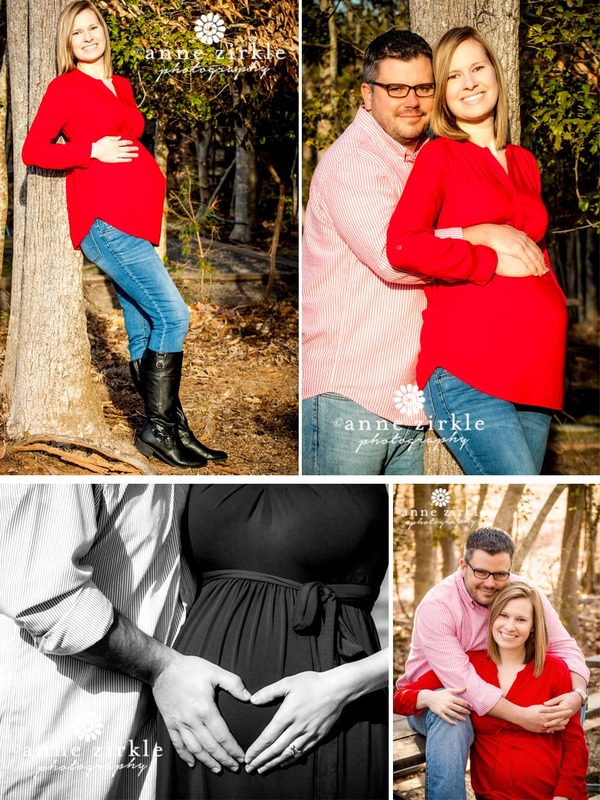 Their baby is one lucky little fellow to be joining a family like this. 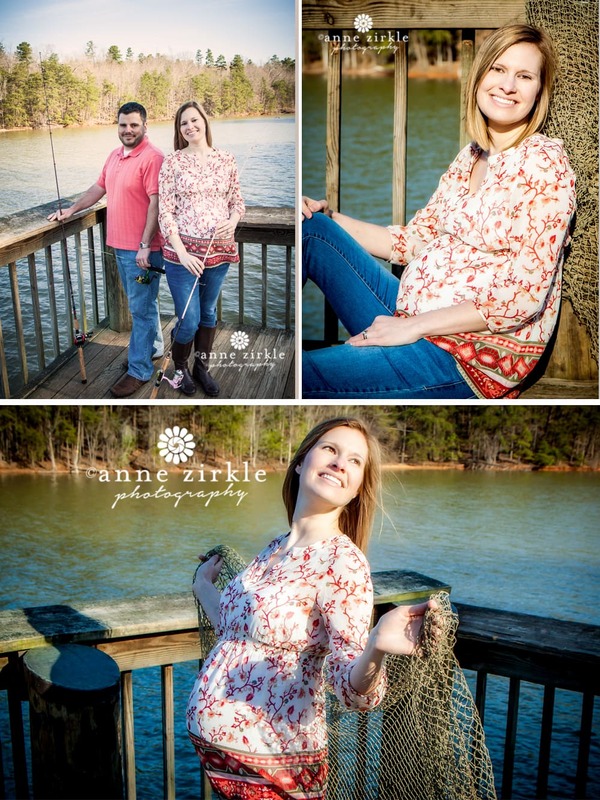 Erica and Chris enjoy the outdoors, particularly fishing, so we met at Lake Norman State Park for their maternity session. Chris even tied special lures to their fishing poles (including a teensy tiny one for Emmett) for the occasion. This was one of the first warmer days after a long, cold winter, so we made the most of our gorgeous morning together. I can’t wait to meet Emmett SOON, and get to know you all even better this year!